Atal Bihari Vajpayee, the former Prime Minister of India, has been declared dead at AIIMS in Delhi. He passed away aged 93. In the official statement, the hospital said that the Bharat Ratna breathed his last at 5:05 pm on August 16, 2018. 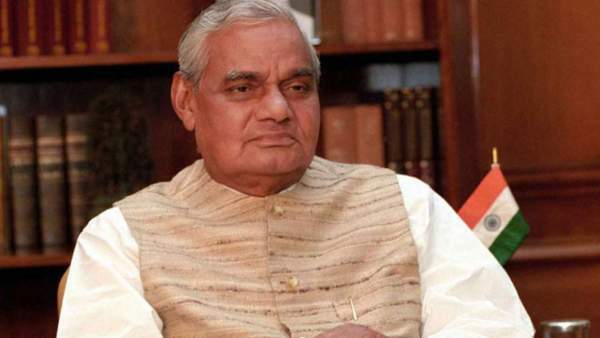 As per the sources, Vajpayee’s condition deteriorated at a fast pace in the last 36 hours. Thus, he had to be put on the life support systems. Despite putting their best efforts, the doctors couldn’t save him. The Bharatiya Janata Party (BJP) member had been admitted to the All India Institute of Medical Sciences (AIIMS) since June 11 as he was suffering from a kidney tract infection, urinary tract infection, low urine output, and chest congestion. Since last night, Atal’s condition further deteriorated, so was put on life support system. Several Indian political leaders including PM Narendra Modi, BJP president Amit Shah, LK Advani, Delhi CM Arvind Kejriwal among others paid a visit to Vajpayee today. A large crowd of media persons, followers, and others has accumulated outside of the premier hospital. It has affected the traffic situation. The roads for Krishna Menon Marg have been blocked including the roads which lead to Vajpayee’s home. Atal Bihar Vajpayee had been a diabetic patient. The director of AIIMS, Dr. Randeep Guleria (pulmonologist) has been taking care of the 1924-born leader. Vajpayee was under the supervision of Guleria. Also, he has served Atal as a personal physician to the leader for 3 decades. Atal Vajpayee was the Prime Minister for a short time in 1996 and then from 1998 to 2004. He was involved in the active politics due to the failing health concerns. As the history traces back, he got involved in the politics during the Quit India Movement in 1942. Vajpayee had been the Lok Sabha member from Lucknow in 1991, 1996, 1998, and 2004. Also, he was the first external affairs minister to deliver a speech in the UN General Assembly in Hindi.